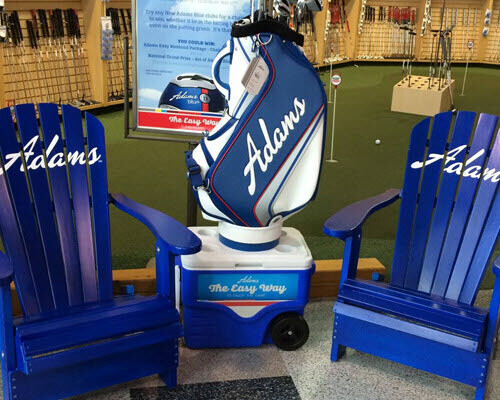 Do you want your own unique Adirondack Chair? Are you looking for a truly special gift? Would you like to personalize your Canadian Chairs with the name or logo of your company? At CanadianChair.com it is possible to give your Adirondack Furniture its own name or message. Thanks to 'laser etching' we make every piece of furniture unique and personal. Laser engraving is done in Canada. We also have a specialised partner in the Netherlands who does this for us. The advantage of engraving is the personal touch you give to your furniture. Would you like to give an original gift, for example for a special birthday, a wedding or anniversary? Are you the owner of a hotel, wellness resort, restaurant or bed & breakfast and do you want to distinguish yourself positively from your colleagues? Please contact us. We will be happy to tell you all about the engraving possibilities. 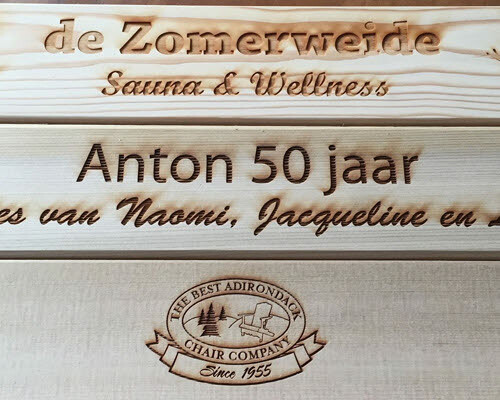 Thanks to laser etching, we can make your Adirondack Chair unique and personal.